It is 9:00 am on Mother’s Day and we gather in a large circle outside to call in the elements and sing songs that honor the mother of us all, the Earth. To cast the circle, each person announces their name and their mother’s name, which got me thinking about my mum, and then everyone’s mums before they had a family and the responsibility of nurturing another, their child. I remember a friend telling me that he didn’t really know how selfish he was until he had a child and suddenly wanted to care for and protect that life more than anything. That was when he realized what it meant to be a man. Today is extra special because all the men in the Permaculture Design Course (PDC) have the mission to make a mother’s day bunch while the women of the group go and hold council around an altar that is made of crystals and stones from a traditional medicine wheel out in the field. It’s a powerful thing to hold council with thirty women: to take a break from the hustle bustle of life and make it a priority to spend time to be fully present for each other. The space is charged and there is a heart centered emotional fluidity that swirls around each of us and then blends into the caldron of our collective energy. This council is an opportunity to share whatever is in our hearts on a day when we honor and give thanks for mothers. As the talking stick is passed to those called to share, it is powerful to reflect on how the level of communication each of us had with our mother growing up so profoundly shapes the lens with which we see the world. Underneath the veil of what we think our lives should look like are the stories of the challenges we have faced and often felt we should hide from others. But held in the sacredness of council, I am witnessing these women share their stories with courageous vulnerability. The tears flows, the grief flows, the gratitude flows, the relief washes us clean together. A few hours earlier I had never met some of the women in the circle and now we are all sisters. I see these women, I have felt their struggles and I witness their beauty. One of the stories shared in the circle is of a lady’s challenged relationship with her mother her whole life until she arrives at her mother’s death bed, climbs under the sheets with her and cries wildly until she can find the words to say, ‘why did you never accept me?’ and to have her mother respond, ‘I thought you never accepted me’. Thirty years of struggle released in a moment of true recognition. I wonder why so often it’s not until we are faced with losing something that we truly appreciate it. What sort of cultural programming can be so strong that it can break the bonds between a mother and her child? Where the fear of not fitting into social norms stops a mother supporting the genius of her child’s heart­-dreams? Where there is such a lack of compassionate, non­-judgmental communication skills that the most crucial relationship of our early years becomes riddled with resentment and dysfunctionality? I come back to acknowledging the importance of our stories and how sharing them authentically gives us the understanding of where someone is coming from and how to have compassion for their lives. I feel deep gratitude for my mum because of how much love she always gives, her connection to nature and the spritely fairy energy she twinkles with when she is excited. I think about how important her amazing daily family feasts were to keep the ‘Fairweather tribe’ of 6 united and healthy. While I was growing up, meal times were our time to share our stories, celebrate each other’s achievements and discuss solutions for issues we may be facing. 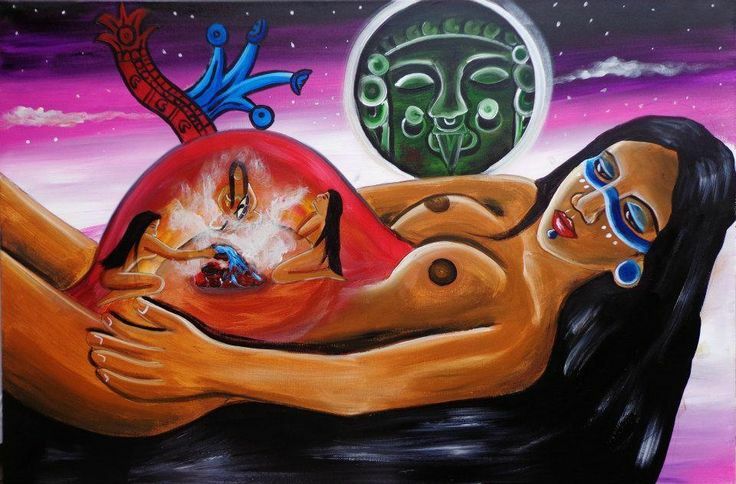 The horn blows inviting us to brunch and we close the circle as spirit pours through one of the women, her tears flowing to the soil as she stands in the center, channeling with raw passion a prayer for protection and respect for the earth and its interwoven web of life. Our PDC classroom had been transformed into a banquet hall and as the women return from council each of us is escorted to our seat by one of the men of the village. We take a moment to give thanks for the earth, the mothers and the divine feminine that is the nurturing force for all of us. One of the female elders stands up and expresses that it is when the feminine is supported, respected and appreciated by the masculine that she is able to fully blossom. It felt very charming to sit and be politely served by the men and I wondered why we don’t make being playfully romantic with each other more of a priority in our lives. As we close the Mother’s Day feast I notice there is a vitality in the community which feels rooted in respect for what both the feminine and the masculine brings to the dance of life. When we find that within it is like we are the kiss of Father Sky and Mother Earth meeting in the sacred temple of our bodies.